17 Art Techniques! 93 Page PDF- SAVE Buying the PACKET!! This is the ultimate e-workbook for anyone wanting to teach or learn major art techniques. Every art technique has a lesson plan and worksheet to go with it! This is the ultimate e-workbook for anyone wanting to teach or learn major art techniques. 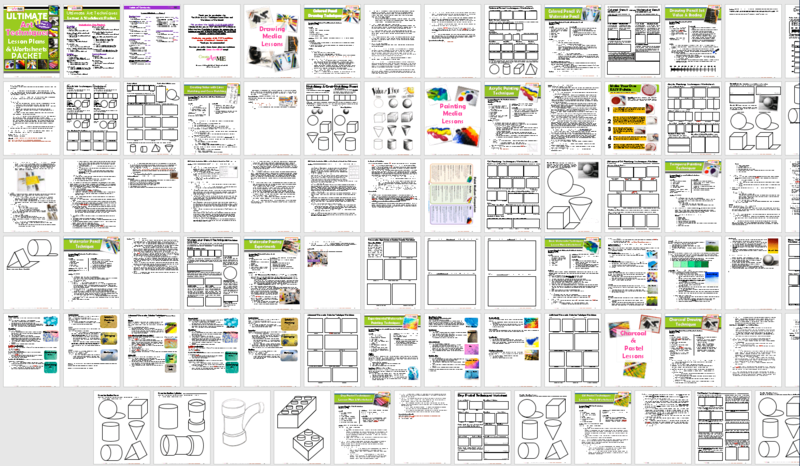 Every art technique has a lesson plan and worksheet to go with it! 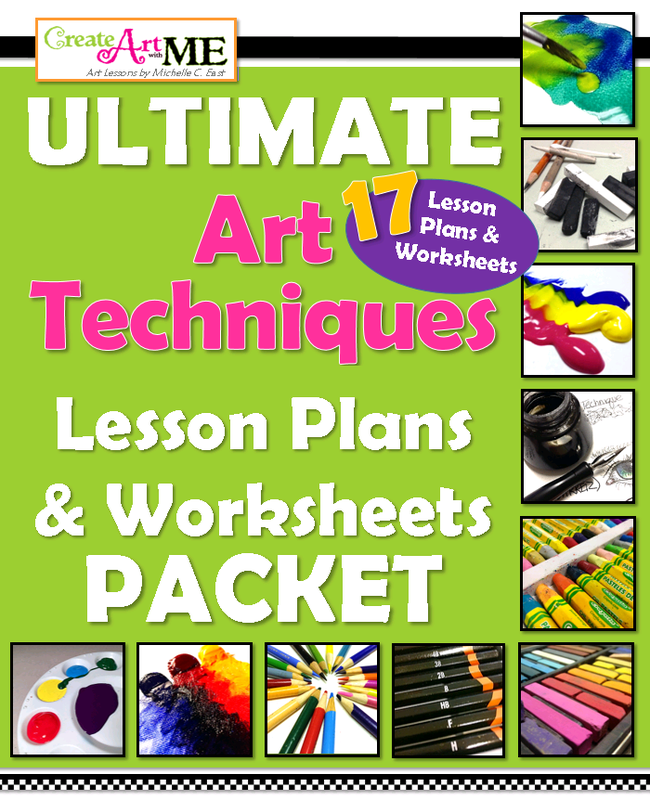 These art lesson plans and worksheets are perfect for middle school, high school or adults. Explore drawing techniques such as color pencil, drawing pencils, and pen and ink. Painting lessons include acrylic, oil, watercolor (pouring and painting in various levels) and watercolor pencil. Pastel lessons include oil pastel, dry (soft) pastel and charcoal.